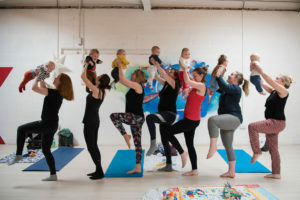 PHPT is a Pilates training studio in Portobello, Edinburgh offering personal training and small group training sessions including strength, conditioning, weight management, suspension (TRX), pure Pilates and “Conquer Gravity” sessions. Our classes can incorporate Reformer, Cadillac, Wunda Chair and Ladder Barrel equipment work and small Pilates and physiotherapeutic equipment including dyna bands, balls, balance discs, rotation discs and trigger point rolls. Sabrina will carry out a Fitness Assessment and Body Analysis to create an exercise programme tailored to your needs. Regular monitoring and evaluation of your progress during your sessions will ensure you find them enjoyable, fun and motivating. Please call or use the contact form to find out more.